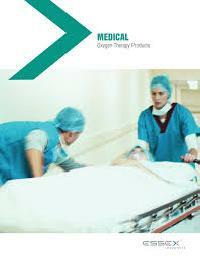 safety tips for preventing accidents when using oxygen therapy. Oxygen is a safe gas as long as it is used properly. Contrary to what most people believe, oxygen will not explode. Oxygen does, however, support combustion. Therefore, any material that is already burning will burn much faster and hotter in an oxygen enriched atmosphere. It is very important to follow these precautions so that you and your family are safe when you are using your oxygen. Notify your electric company if you are using an oxygen concentrator system so it can make your house a priority during a power outage. Always have backup tanks available, and know how to use them. Families may want to consider purchasing a backup generator for power outages. Be sure to have a functioning smoke detector and fire extinguisher in your home at all times. Post signs in every room where oxygen is in use. 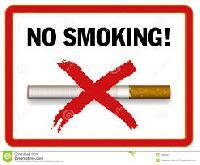 Make sure that absolutely NO SMOKING occurs in the home or in the car when oxygen is in use. Oxygen canisters should be kept at least 5 10 feet away from gas stoves, lighted fireplaces, woodstoves, candles or other sources of open flames & Do not use electric razors while using oxygen. (These are a possible source of sparks. Do not use oil, grease or petroleum based products on the equipment. Do not use it near you while you use oxygen. These materials are highly flammable and will burn readily with the presence of oxygen. Avoid petroleum based lotions or creams, like Vaseline, on your face or upper chest. Check the ingredients of such products before purchase. If a skin moisturizer is needed, consider using cocoa butter, aloe vera or other similar products. 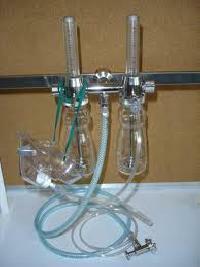 For lubrication or rehydration of dry nasal passages, use water based products. Your pharmacist or care provider can suggest these. Secure an oxygen cylinder to a solidly fixed object to avoid creating a missile out of the tank. This might happen if it was accidentally knocked over and gas was allowed to escape. Do not use oil, grease or petroleum based products on the equipment. Do not use it near you while you use oxygen. These materials are highly flammable and will burn readily with the presence of oxygen. Avoid petroleum based lotions or creams, like Vaseline, on your face or upper chest. Check the ingredients of such products before purchase. If a skin moisturizer is needed, consider using cocoa butter, aloe vera or other similar products. For lubrication or rehydration of dry nasal passages, use water based products. Your pharmacist or care provider can suggest these. Use caution with oxygen tubing so you do not trip over it or become entangled in furniture. Be familiar with the equipment and the safety checks established by the medical equipment provider. Keep their contact telephone numbers, and the numbers for other emergency services, posted near a phone. Do not try to repair broken equipment on your own. 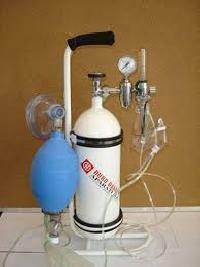 Request this service from the oxygen provider. Be familiar with the equipment and the safety checks established by the medical equipment provider. Keep their contact telephone numbers, and the numbers for other emergency services, posted near a phone. Do not try to repair broken equipment on your own. Request this service from the oxygen provider. Notify the local fire department, gas and electric companies and telephone company when home oxygen therapy is started. Request a priority service listing. This is for those times when there is a power or telephone failure or repairs are needed on any utility. Use a carrying case specifically designed for oxygen. It has the required ventilation. Secure an oxygen cylinder to a solidly fixed object to avoid creating a missile out of the tank. This might happen if it was accidentally knocked over and gas was allowed to escape.